The spring unit is a full 12 gauge centre zoned Bonnell spring system, made from premium heat tempered steel providing the correct support required. This support system helps protect and prolong the edge of the mattress from collapsing. 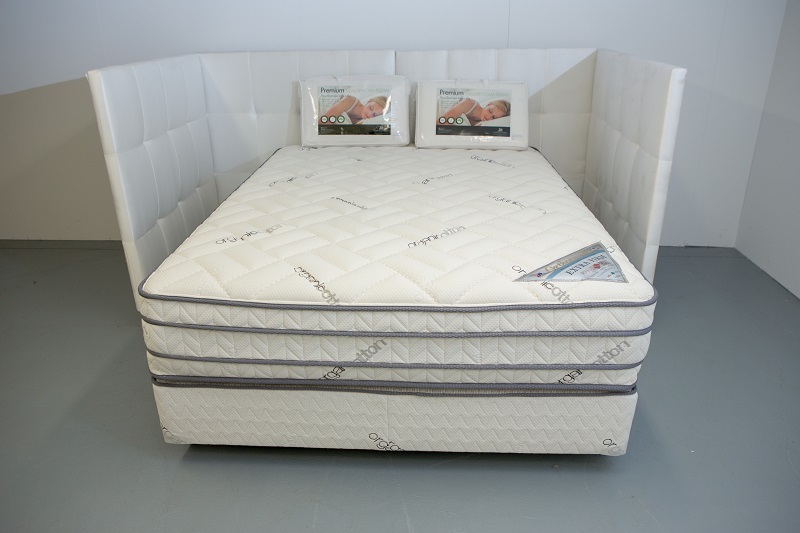 The Orthopaedic Extra Firm model has additional edge support springs compared to other mattress. By strengthening the border wires, optimum edge firmness is achieved as well as increasing the total sleeping surface. To prevent the upper foam and materials against coil damage, heavy duty polyester blanketing is placed onto spring system. This also helps distribute the weight of the body over the entire spring unit, not just in the lying position area. The shield guard is located in between the blanket, providing body support and anti-sagging protection. Foam: Each side has a 25mm 31-320 layer of high-density firm foam treated to inhibit the growth of bacteria, mold and mildew and provide effective control of dust mites. Treated foams tend to have a longer life than untreated foams.